One of the usual timeshare out complaints is that the timeshare sales agents make it sound to pretty to be truth, there’s a lot of promises going around when they try to sell a property. The one you will hear the most, is that timeshare is an excellent investment, and also, if for any reason you choose not to use your property, you can still make lots of money by renting it out. If anyway, you get tired of your timeshare, that’s not a problem! It’s an easy job to resell it, and you can even make a profit. If you’re not able to resell it, don’t worry! For sure there will be a company that is going to be interested to buy your timeshare. But it gets even better; you can trade your timeshare and stay anywhere you want in the world! – If your hear any of the last things, you’re clearly being scammed. When it comes to see the other side of the coin, the reality is not as pretty as it sounds. And this is where most of the timeshare out complaints are generated. The truth is that timeshare is nothing but a terrible investment. Timeshares lose immediately 40 percent of their value or even more! And they’re always overpriced. Renting the property out is not the best idea either, it’s actually pretty difficult, not to say impossible! But if you’re thinking about reselling it, you should go to ebay and take a look at the timeshares that are for sale, some of them for less than a dollar. 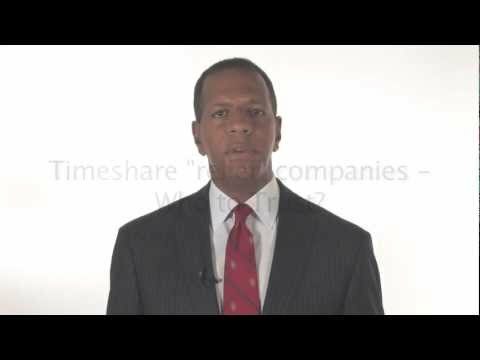 There’s neither a company that is going to be interested in getting your timeshare, and trading your timeshare for other locations in the world is almost unfeasible, for the reason that the timeshare weeks programs make it too complicated. For those and many other reasons, timeshare out complaints are very frequent on this market. Timeshare out complaints – Are you a victim? If you happen to be reading this article and are stuck in a timeshare contract, don’t be discouraging. You should contact Mexican Timeshare Solutions as soon as possible so you can receive a free consultation on your matter. There’s still a solution waiting for you. If you liked this article, please help us to share this information to more people in order to avoid more timeshare scams victims. How? Nosotros al igual que muchas de las personas que comentan, estamos siendo estafados por el resort mayan palace, puesto de lo que nos prometieron nada han cumplido, ahora nos estan exigiendo que subamos de nivel nuestra membresia para hacer válido lo de la bonificación, no queremos ya nada, solo queremos cancelar esto . desgraciadamente nosotros caimos en el juego de los vendedores, nos ofertaron tantas cosas que la verdad se nos hizo una buena oportunidad adquirir una membresia ,llevamos 7 años pagando y ya no podemos continuar haciendolo , subieron mucho las cuotas ademas de que ya ni nos han dejado usarlo por falta de disponibilidad, no podemos seguir pagando algo que no podemos usar. The cost of the maintenance fees are insane, is not what they promise when you are in the timeshare presentation , timeshare salespersons lie A LOT when they try to sell something , so dont believe on nothing that they told you , just go on and avoid timeshare presentations. your welcome. Most timeshare companies are taking advantage of people, often those who are more vulnerable and less able to resist hard sales tactics. I have heard of many cases where maintenance costs rise well above inflation. It would appear the timeshare companies lock people into contracts and then drive up their profits though increased maintenance charges. It would be good to see legislation whereby timeshare companies can only charge "reasonable" maintenance costs and not use this annual fee to fleece people's bank accounts. We are stuck with a TimeShare we don't use also. My question is how can these Time Share companies have so much power and the buyer none. Where are the rules and regulations fore these people. They can lie and sell things under false pretenses and it might take you a year or so to find out what the lies are but your already stuck in the black hole. I think we should all complain to the Attorney Generals Office where you bought the time share and to your Attorney General where you live, explain the problems. That Time Shares have more rights then the banks on a real piece of property and how they can make your life a living hell and while your at it send a copy to your Senators and your congressmen. Everyone has rule they have to follow, even collection companys but not time shares they have a plan of their own they can make you feel as pressured as they what can call with threats like what they can do to you for nonpayment. We need to put the pressure on them now. Make your complaints heard. I purchased a timeshare a few months ago at Sunset Lagoon in Cancun, Mexico. I was given a written "guarantee" that I would receive rental income for two years and that Sunset Lagoon's US subsidiary would sell my existing timeshare for $10,000 within 90 days. As it turns out, the US subsidiary is not a part of Sunset Lagoon at all, they are just a marketing company and have no record of any guarantee made by Sunset Lagoon. Sunset Lagoon now tells me that the document I received is not a part of the contract and refuses to cancel the contract and give me my money back. Sunset Lagoon lied to me and scammed me out of nearly $10,000, and has stuck me with a timeshare that I certainly do not want. I have filed formal complaints with my credit card company, the FTC, Profeco, econsumer.gov, RCI and the Attorney Generals in NC and FL (where Sunset Lagoon maintains an address for purposes of collecting money). At this point, I'm just waiting to see what comes of this and looking for any advice anyone can give me. If anyone has been in this type of situation, I would appreciate any help you can offer. Needless to say, I advise everyone to stay away from Sunset Lagoon, Sunset Beach, Royal Sunset, Fishermans Village or Sunset Clubs while in Mexico. These resorts are all owned by the same lying theives!